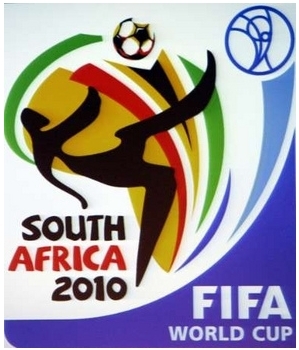 Everyone are having world cup fever. 2 days more to go before the show start! Google is into the game too! 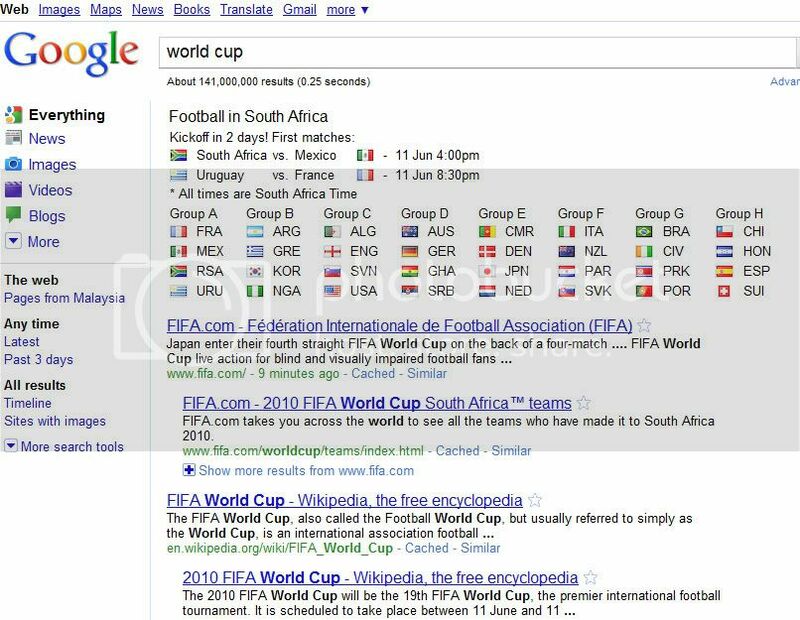 When you search “World Cup” (without quote) in Google.com, they will show you the time of the matches, and also the group. I believe google will show the result as the match goes on. 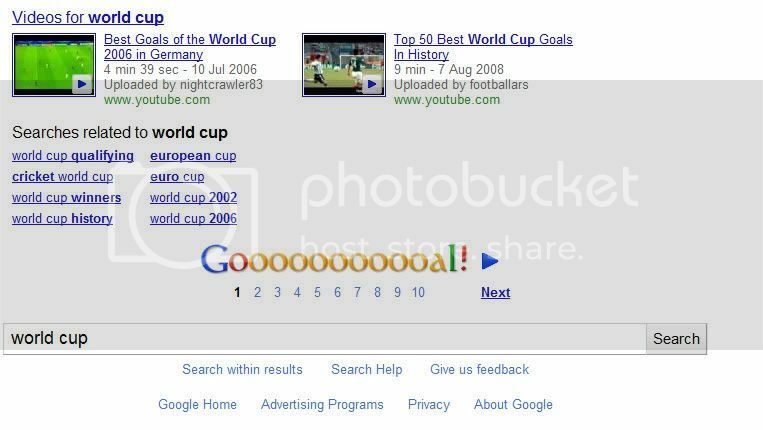 And not only this, Google also made some tweak that you may not noticed…..
Google said GOOOOOOOOOOOOOOOOOOOOOOAL instead of GOOOOOOOOOOOOOGLE at the end of the page!